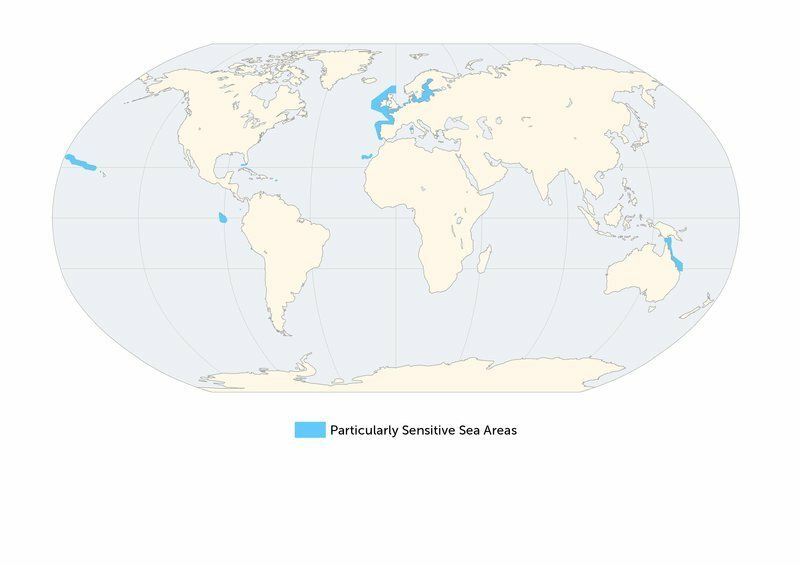 Valuable marine areas identified as at risk from international maritime activities. Website on PSSAs allows you to visualise PSSAs and gives background information on each area. Particularly Sensitive Sea Areas (PSSAs) are “areas that need special protection through action by the International Maritime Organisation (IMO) because of their significance for recognized ecological, socio-economic or scientific reasons where such attributes may be vulnerable to damage by international maritime activities.” 2 PSSAs are therefore intended to protect certain marine areas from damage by international maritime activities such as shipping. The IMO is the United Nations specialised agency for developing and adopting global regulations to prevent marine pollution from ships, with 170 Member Governments. Revised guidelines for the identification and designation of PSSAs were adopted in 2005. 3 These revised guidelines provide advice to IMO Member Governments for the process of creating PSSAs. The International Maritime Organisation (IMO). The first PSSA was the Great Barrier Reef, created in 1990. Global. As of 2014, there are 14 PSSAs. 1 More information about each one can be found can be found here. Applications for the identification of a PSSA are submitted to the IMO by Member Governments. In order to be identified as a PSSA, the area should meet at least one of the ecological, socio-economic or scientific criteria listed below. In addition to meeting at least one of these criteria listed, the area should be at risk from international shipping activities. Furthermore, there must be measures that can be adopted by the IMO to protect the area. 2 For example, the IMO is better placed to address the threats of shipping rather than other threats to biodiversity such as overfishing. Uniqueness or rarity – An area or ecosystem is unique if it is “the only one of its kind”. Critical habitat – A sea area that may be essential for the survival, function, or recovery of fish stocks or rare or endangered marine species, or for the support of large marine ecosystems. Dependency – An area where ecological processes are highly dependent on biotically structured systems (e.g. coral reefs, kelp forests, mangrove forests, seagrass beds). Representativeness – An area that is an outstanding and illustrative example of specific biodiversity, ecosystems, ecological or physiographic processes, or community or habitat types or other natural characteristics. Diversity – An area that may have an exceptional variety of species or genetic diversity or includes highly varied ecosystems, habitats, and communities. Productivity – An area that has a particularly high rate of natural biological production. Spawning or breeding grounds – An area that may be a critical spawning or breeding ground or nursery area for marine species which may spend the rest of their life-cycle elsewhere, or is recognized as migratory routes for fish, reptiles, birds, mammals, or invertebrates. Naturalness – An area that has experienced a relative lack of human-induced disturbance or degradation. Integrity – An area that is a biologically functional unit, an effective, self-sustaining ecological entity. Fragility – An area that is highly susceptible to degradation by natural events or by the activities of people. Bio-geographic importance – An area that either contains rare biogeographic qualities or is representative of a biogeographic “type” or types, or contains unique or unusual biological, chemical, physical, or geological features. Social or economic dependency – An area where the environmental quality and the use of living marine resources are of particular social or economic importance, including fishing, recreation, tourism, and the livelihoods of people who depend on access to the area. Human dependency – An area that is of particular importance for the support of traditional subsistence or food production activities or for the protection of the cultural resources of the local human populations. Cultural heritage – An area that is of particular importance because of the presence of significant historical and archaeological sites. Research – An area that has high scientific interest. Baseline for monitoring studies – An area that provides suitable baseline conditions with regard to biota or environmental characteristics, because it has not had substantial perturbations or has been in such a state for a long period of time such that it is considered to be in a natural or near-natural condition. Education – An area that offers an exceptional opportunity to demonstrate particular natural phenomena. An application for PSSA designation should contain a proposal for associated protective measures (APM) aimed at preventing, reducing or eliminating the threat or identified vulnerability. Applications should identify the legal basis for each protective measure that makes the PSSA efficient in practice. APMs for PSSAs are limited to actions that are to be, or have been, approved and adopted by IMO, for example, a routeing system such as an area to be avoided. 2 APMs might consist of areas to be avoided, compulsory ship routeing, ship reporting, or recommendations on how shipping should pass through an area. PSSAs act as a useful management tool to protect nationally designated Marine Protected Areas and other significant areas from shipping impacts. However, they do refer to very specific pressures (i.e. only shipping-related pollution) and are therefore not suitable as the only method to identify important areas for protection. Biodiversity importance - PSSAs can be important for biodiversity, particularly if the reason for their designation includes any of the ecological criteria. Furthermore, they are important due to their vulnerability to ship-related pollution. As site-scale areas, they can be a useful tool for conservation and can be used as a basis to identify areas to conserve through marine protected areas. Socio-cultural value - The criteria for identifying PSSAs include social, cultural and economic criteria. As such, PSSAs can have a significant socio-cultural value relating to the dependency of economies on marine natural resources or to the cultural value of the area. International Maritime Organisation. PSSA interactive website. Australian Maritime Safety Authority, Australian Government. Particularly Sensitive Sea Areas - Fact Sheet. pp.1–2 (2014). International Maritime Organisation. Revised Guidelines for the Identification and Designation of Particularly Sensitive Sea Areas. Resolution A.982(24) (2005). Lausche, B. 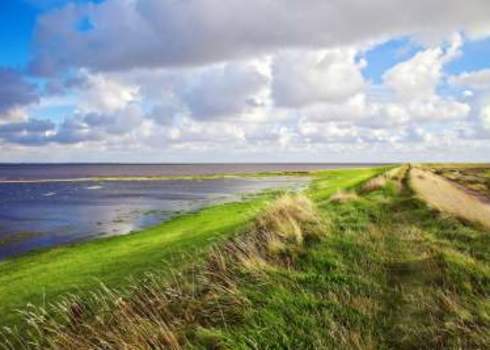 Guidelines for Protected Areas Legislation. 370 pp (IUCN, 2011). International Maritime Organisation. Ships’ Routeing. 2013 Edition. (IMO Publishing, 2013). Division for Ocean Affairs and the Law of the Sea. The United Nations Convention on the Law of the Sea (UNCLOS) at 30. 15pp. (United Nations, 2012).